We decided to hold the “Reindeer Games” this past Friday to celebrate the upcoming Christmas break with students who are leaving school early for holidays, and will be missing our Gingerbread House Decorating party this Thursday. We ran the “Games” as a Centre approach, with five different activities. The children were divided into groups; each table had a different centre with a mom helper so the children simply rotated through each “game.” We’ve practiced this routine many times before during Math Centres. The groups change about once a month. It’s a great way for the children to socialize and get to know one another better, and establish new friendships. We were very proud of our classes and their ability to self-regulate their behaviour, despite the excitement of a special day. They listened carefully to the teachers’ directions and transitioned well between the tables. When we plan a Centre rotation such as this, we plan carefully to ensure there are calming Centres (colouring, play dough) balanced with exciting Centres that require more attention and focus (reindeer bags, cupcake decorating and math patterns) to help with the children’s self-regulation. 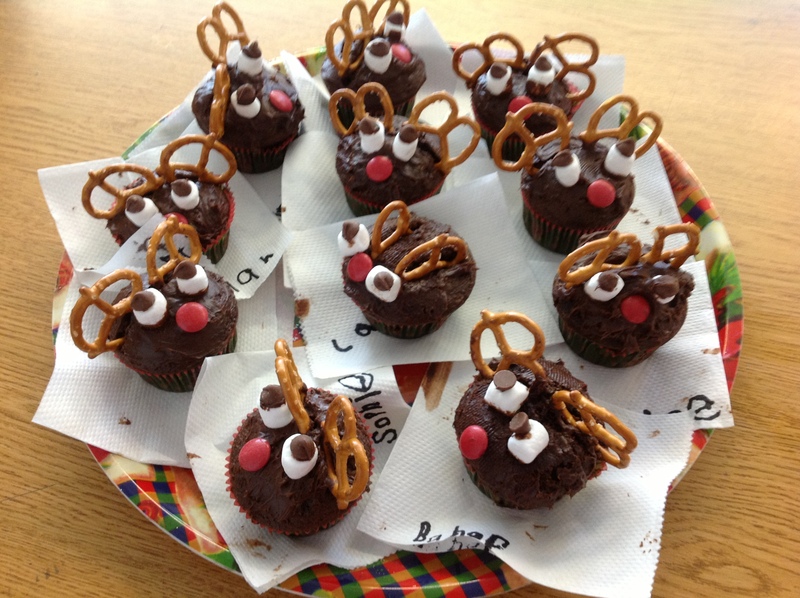 Thank you very much to our parent volunteers who helped to make the “Reindeer Games” possible!